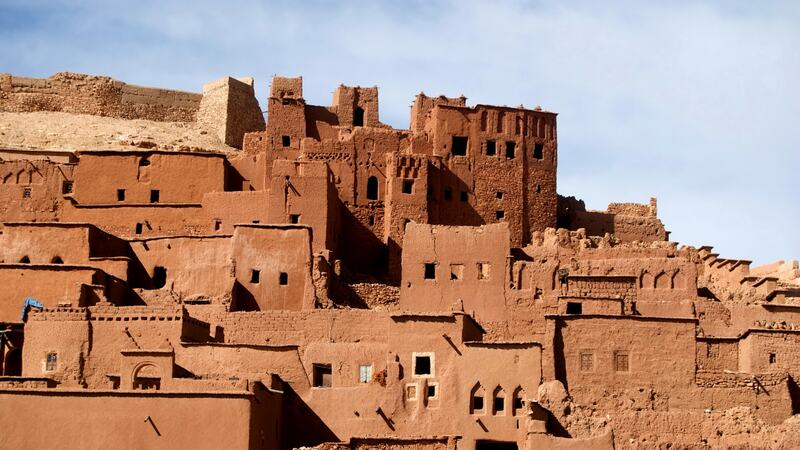 This scenic trek leads across three valleys of the High Atlas mountains. The diverse nature with a variety of flora and fauna offers a unique trekking experience with many fabulous views of the dozens of mountain peaks. Picnics at the plateaus are a part of it. The cultural heritage of the region will be explored during village walks observing the daily activities. Berber people are shy, they do not like to be the center of attention and interaction with foreigners is often complicated. The local guides help break this barrier and allow visitors to enjoy the hospitality of the rural community. After breakfast we now set off on our hike up along the Assif n'Ait Oussaden valley , passing through the walnuts groves , up to Tizi n'Taghrhourte (1995m) and through to a rare almost flat stretch to arrive at Assaka spring, where we will stop for our field picnic amidst and awesome silence after some 2 and half hours relatively easy walking our afternoon's hike takes us down along the edges of the forest until we reach the Berber village of D'knt (1870m) or Agouns n Assoul where we will have our dinner and spent the in a bivouac or gite . We set off for our morning's 3 hours hike up through groves of walnut trees, fields of corn and barley to greet the many sheep and goatherders – and women. We traverse the Tizi n'Tagdalte to the descent among the juniper trees till we come to a small spring set among the trees, where we will stop for our picnic. Once refreshed, we are off down winding tracks of upper slopes for some 3 hours to come to a small river at the beginning of the valley of Assif n'Ait Oussaden. From here we enter the village of Tizi Oussem (1850m) then up to the summer village of Tamsoult for our camp or gite. Today involves a fantastic climb out of the Azzadene Valley. You'll head up the valley towards the summer village of Azib n Tamsoult from where you'll head up to Ighouliden waterfalls prior to trek back over the pass at Tizi n Mzik (2489m) for lunch before descending down into Imlil and spend the night in our place in Imlil or go down to Marrakech. Aprox 5 to 6 hours walking.